[PDF] The Premixing Method: Principle, Design and Construction | Free eBooks Download - EBOOKEE! Description: The premixing method involves adding a small amount of cement to the soil used in reclamation. The cement reacts with the water in the soil to produce a stronger, non-liquifying material for construction. The premixing method can therefore reduce construction time, as the counter-measure work is carried out simultaneously with the reclamation process. In addition, the resultant material has enhanced bearing capacity, and there is a reduction in earth pressure due to the increase in cohesion. 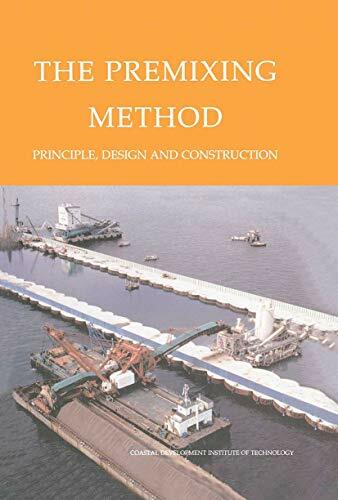 This book examines the premixing method in detail and is essential reading for coastal engineers, hydrologists, or construction engineers working in soft soil areas. No comments for "[PDF] The Premixing Method: Principle, Design and Construction".